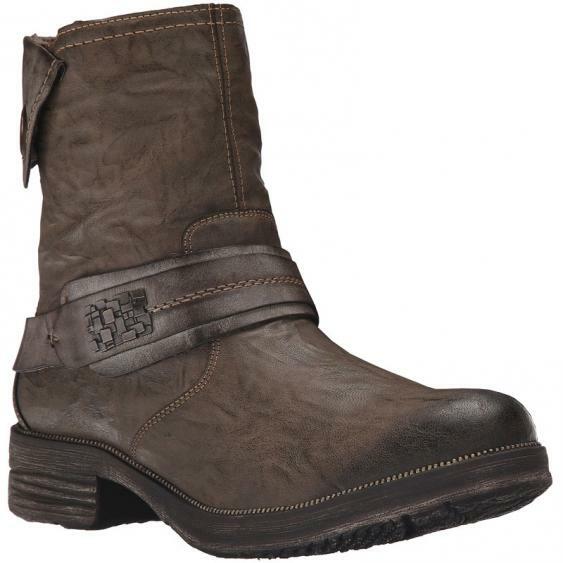 You’ll be the envy of everyone around in the Remonte Dorndorf by Rieker D1771 bootie. This women's ankle boot features a faux leather upper and a harness strap with metal details across the vamp for eye-catching style. The side zip closure ensures on/off ease. The interior is made of super soft velvet to deliver a lightweight warm lining that keeps you comfortable as the temperature drops. The lightly padded footbed gives you hours of comfort. Throw on a pair of the Remonte Dorndorf D1771 booties and you’ll be stylishly comfortable all day long!